EPE successfully completed the management and cleanup operation of waste improperly disposed of at a Kosovo Energy Corporation (KEK) power plant in Kosovo. The project, financed by the World Bank through its Clean-up and land reclamation project, followed international good practice and innovative procedures. The Power Plant includes gasification and fertilizer plants which are no longer operational and represented an environmental hazard due to potentially hazardous chemicals that were still contained in materials remaining in pipes and in equipment located on the premises. This waste proved a hazard and dangerous to the communities living and working in the area. 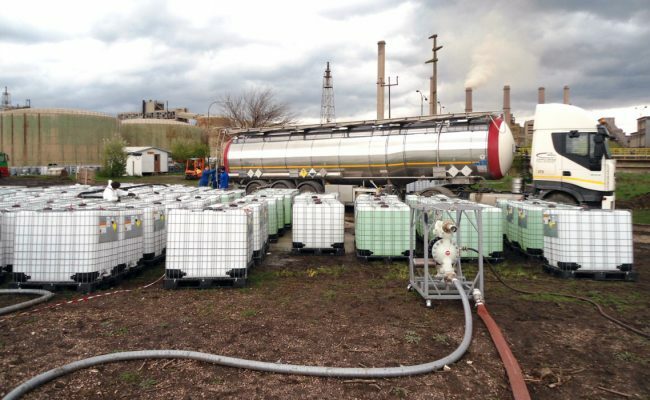 An initial feasibility study and conceptual project for the clean-up and disposal of hazardous and non- hazardous products and waste stored in parts of the tanks and containers of the gasification plant located on the premises were carried out. The Environmental Impact Assessment study was subsequently carried out and then study for clean-up works took place. The extension of the scope of works of the clean-up was defined by the funds made available by the Dutch Government and the World Bank, and focused on the characterization, on-site treatment and final disposal of hazardous and non-hazardous chemicals which are stored in the tanks and facilities of the plant. EPE won this project through an international tendering procedure. The project lasted almost three years, EPE managed the containment, packaging and export from the site of the varying types of wastes. The removal and treatment of 20.000 tons of hazardous liquid and solid waste, including organic phenolic waste, solvents, diisopropylether and tar sludge from various tanks at the old lignite gasification plant of KEK. Cleaning of around 20 tanks from historical phenolic liquids and sludges of variable viscosities. Packaging of high contaminated waste. Treatment of 15.000 tons of phenolic liquid waste by employing the Fenton reaction, treatment of sulphates, precipitation of metals and treatment of produced filter cake. Issuance of bilateral agreements between Kosovo and Sweden / Belgium for the export and disposal of 5.000 tons of hazaradous liquid and solid waste, in accordance with the provisions of the Basel Convention for countries not part to the Convention. This project was important because not only did it eliminate hazardous waste that was affecting the population surrounding the area, but it also helped establish and promote safe practices, including proper waste management, in a country where such precautions were not previously taken. Remediating land and properly disposing of waste is essential to reviving the environment and life, but establishing safe practices including proper waste management and disposal for current and future operations will protect against future harm.